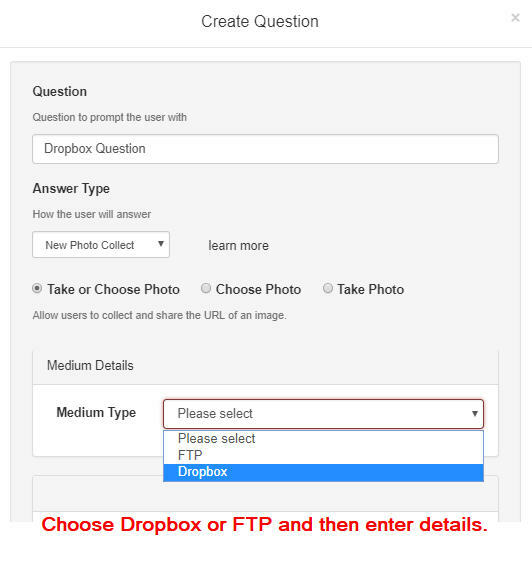 If you do not already have a Dropbox account. Sign up for one. Record (copy and paste) the API Key associated with your CodeREADr account. Record (copy and paste) the Database ID from either a new or existing database. Select an Existing Database or Create a New One. Insert API key and Database into this postback URL template to create a custom URL. You must replace API_KEY and DB_ID with your own values. 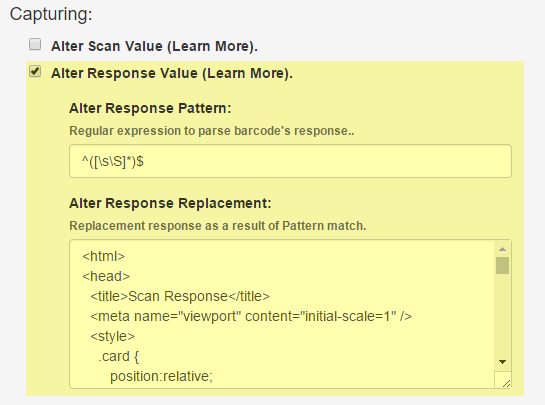 This URL will be pasted into the “Postback scans after they are received by the server” field in Advanced Settings. 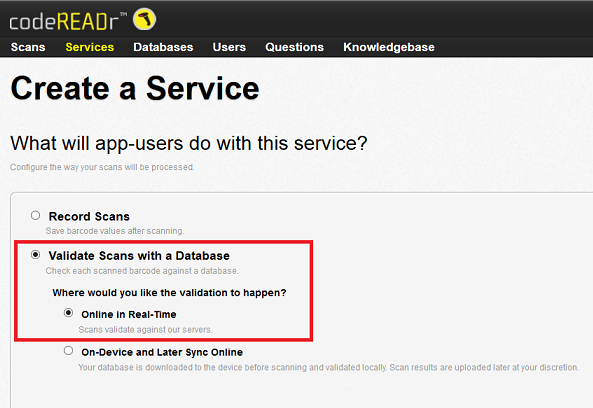 Select ‘Validate Scans with a Database’ and then Select the Online Validation Service option. 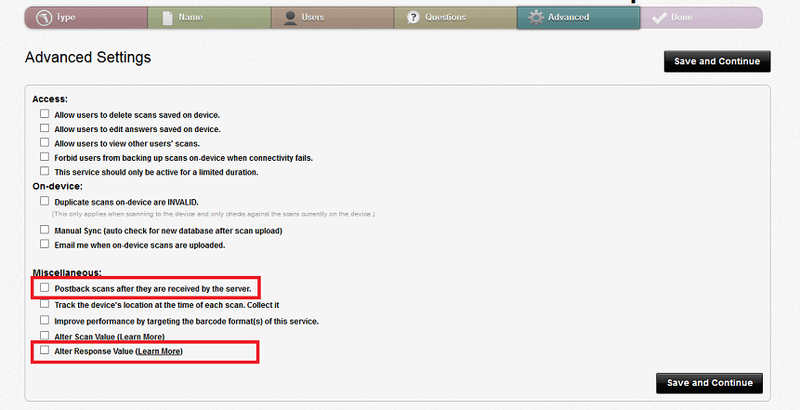 Warning: Do NOT select ‘On-device and Later Sync Online’ option as it will not work with Photo Postback configuration. In the initial set up – a numeric ‘Database ID‘ was retrieved from the URL of a database. Select that database from the dropdown menu. It is important to set duplicate scans to ‘Valid’ for reentry applications as it will allow any barcode that is in the database to be scanned an unlimited amount of times and continue to return a ‘Valid’ scan result. 10. Apply a Validation Pattern This step is no longer necessary. Select ‘Apply a Validation Pattern’ option and then select the Force an invalid response when a scan match is made checkbox. 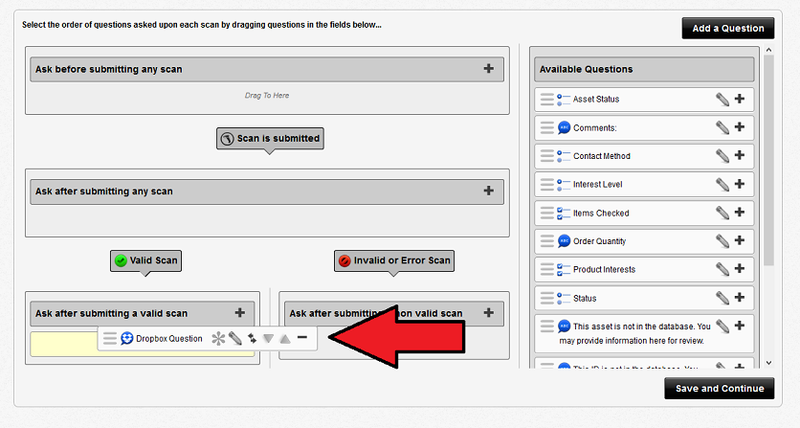 In Advanced Set up: "Postback scans after they are received by the server" and "Alter Response Value" options must be selected. Copy the Postback URL that you created in the initial setup and paste it into the field below. Configurations for the Alter Response Value advanced setting must include an Alter Response Pattern in one field and Alter Response Replacement in the field below it. 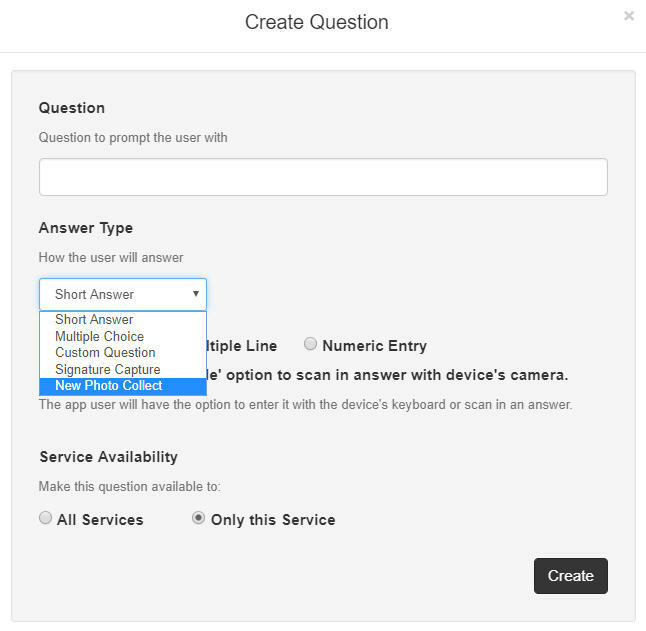 Copy and Paste the script in the link below into the Alter Response Replacement field based on whether you are using a smartphone or tablet for scanning. These are simple examples only. You can change the script to that which best suits your needs. Important: This script works for older versions of Android OS (4.1 and higher). But for this script, you need iOS 10.0 or higher even though the app supports lower iOS versions. Please ask us if you need any assistance. Save and continue after configuring the Advanced Settings. 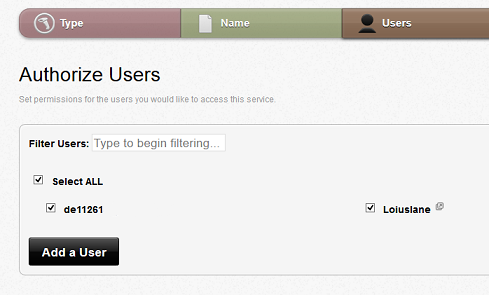 Review your Service specifications and click 'Done'.